This dairy-free faux ricotta can be used in many pasta dishes – homemade tortellini, lasanga, stuffed shells… great to experiment with! It’s a treat for people who can’t eat dairy, but I’ve also served it to the lactose tolerant to rave reviews. 1. 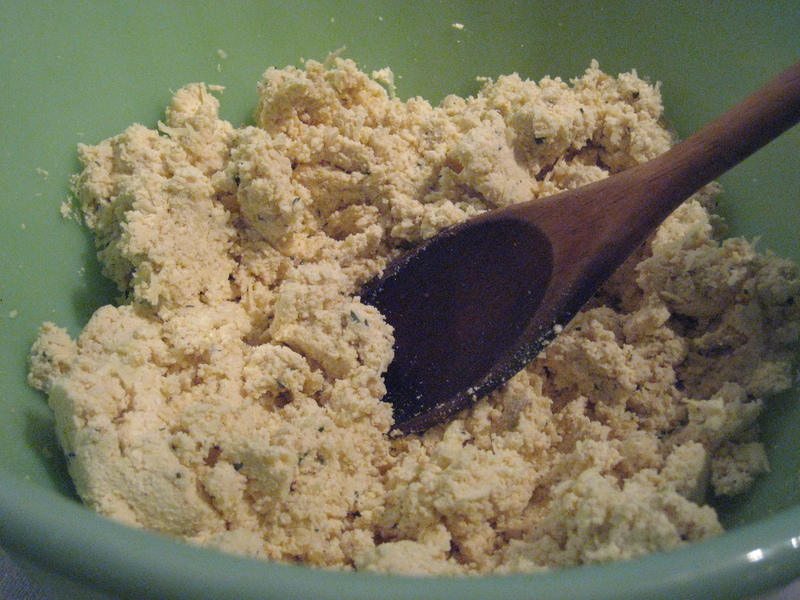 Combine tofu, garlic, olive oil, chopped garlic, and salt in food processor and blend until the tofu is finely ground. 2. 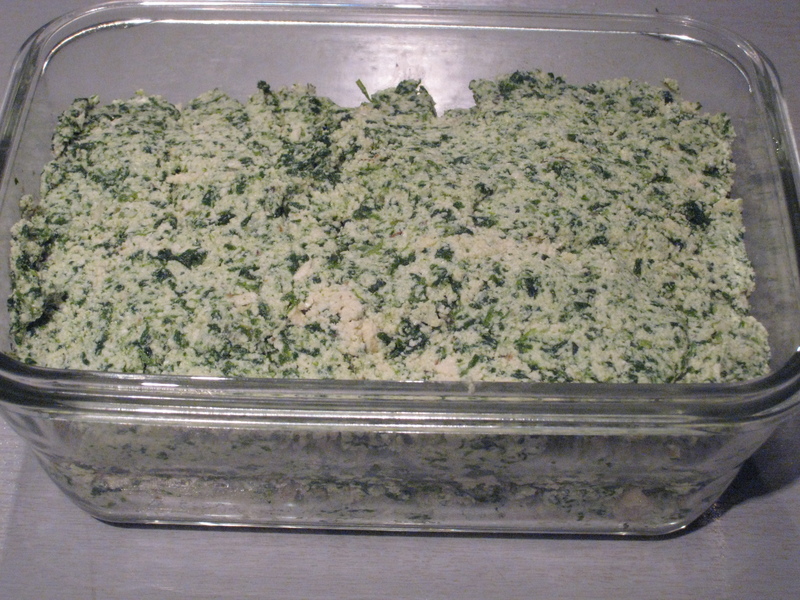 If you are using fresh spinach, you can wilt it in a frying pan, let it cool, and squeeze out the excess moisture. If you are using frozen it should be thawed, and then you can squeeze the moisture out. 3. Add parmesan, bread crumbs and pepper to the tofu mixture, and mix in well. 4. 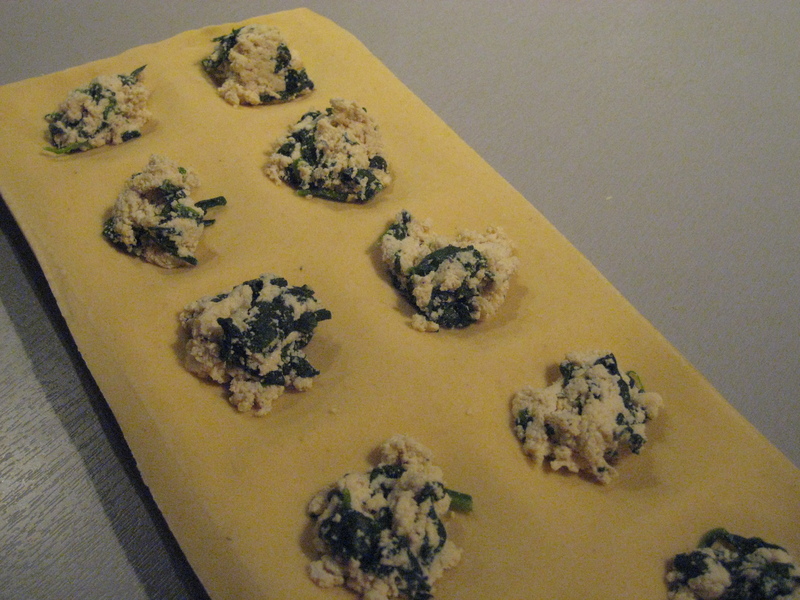 Add spinach and mix in well. 5. Now you can adjust the seasonings to taste, and use it to fill your pasta.